CC International provides all food, lodging, and project coordination. 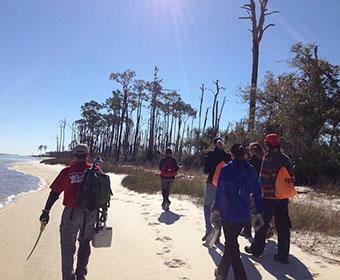 Gulf Coast Ecosystem Restoration and Community Service Projects are located along the Gulf of Mexico on the Mississippi Gulf Coast and Louisiana. The Gulf Coast of Mississippi is a great place for winter break because the Gulf Coast climate is great for outdoor projects in December and January. The Gulf Coast Project volunteer facility is located near Biloxi, Mississippi and serves communities all along Mississippi’s Gulf Coast. Community service projects include; working with community-based programs that serve youth, homeless, elderly and low-income members of the community.